Ah, the garden building…… or is it, garden room? To many, the image of a garden room conjures up childhood images of a simple shed: functional, practical and full of all that garden equipment that quite simply has nowhere else to go. A space for wasps to nest and barbecues to hide. But thank heavens (! ), for that is no longer the case! In recent years, garden rooms have evolved into an extension of the home, a new place to work, play, relax and embrace nature. A beautiful and functional environment to call your own. In today’s blog post we’re going to outline the 7 reasons why, you should lean towards the garden room rather than an extension. Unlike an extension, it’s a completely separate space, a home away from home. Psychologically, you can separate yourself from your day-to-day stressful and busy household. 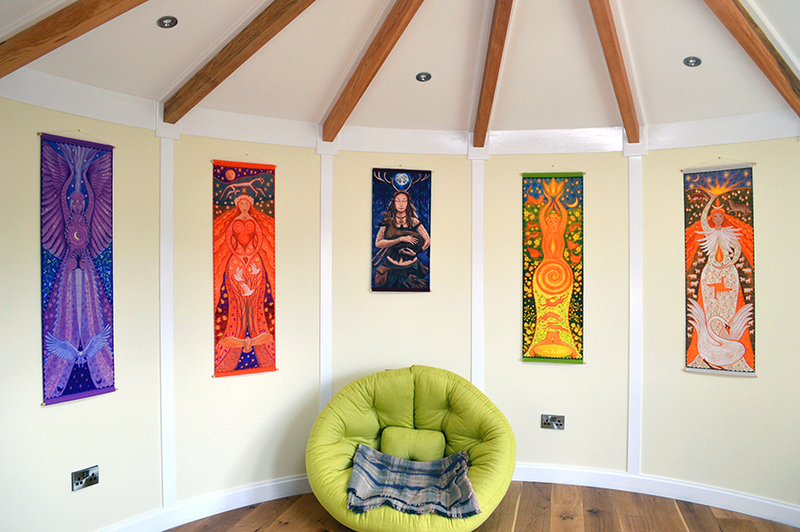 This is a room to escape into, to pick up a book and settle down with a cup of tea, practice yoga, write, create or dream. With no interruptions and the garden surrounding you, it’s your space; so you can utilise it as a stress-free zone! There are now over 4.2 million people working from home in the UK. Research has shown that it’s important to have a separate space to work in, it encourages better sleep, better health and overall improved efficiency. 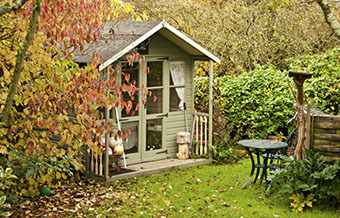 By making the most of a garden room ensures that you are able to separate your home life from your work life. Now, working and relaxing are important, but let’s not forget that play is super important too! A garden room can be an amazing place to entertain friends, away from the house. You can roll out the barbecue and in the summer rain, still hold an amazing event (of course, a BBQ isn’t British if we’re not sheltering from the rain!). It’s also a great place to spend a relaxed evening (and, a well insulated garden room is practically soundproof – so, a bonus for the neighbours too!). An extension is just that, an extension of your home, more bricks, cement and concrete = less garden. A garden room however is an element of your garden; you can enjoy being outside whilst spending time inside a functional and contemporary environment. Just being able to walk down the garden path to access your beautiful garden room is an enjoyable way to reach your building. Nobody likes the hassle and stress of obtaining full planning approval, it’s costly and timely. Fortunately, most garden rooms fall under the guidelines of permitted development (Unless you require plumbing), meaning that you can build without requiring planning permission and can be built more efficiently than a traditional brick and block extension! A garden room is a straightforward alternative to what can be an otherwise complicated affair. Timber framed Garden rooms are more sustainable than a traditional brick and block structure. When buying a garden room from a reputable garden building manufacturer you can be assured that they will work with sawmills and timber suppliers who are committed to sustainable ethics and clearly display that their timber is FSC and PEFC certified (FSC and PEFC, the two organisations together accounting for some 98% of the world’s certified forests and chain of custody certificates). Well, it’s got to be said, we’re a handy bunch, us Brits. This year our installations team have been assisting a small group of independently minded self-builders in the UK, erecting Rotundas in their UK gardens, at a more relaxed and informal pace than usual. 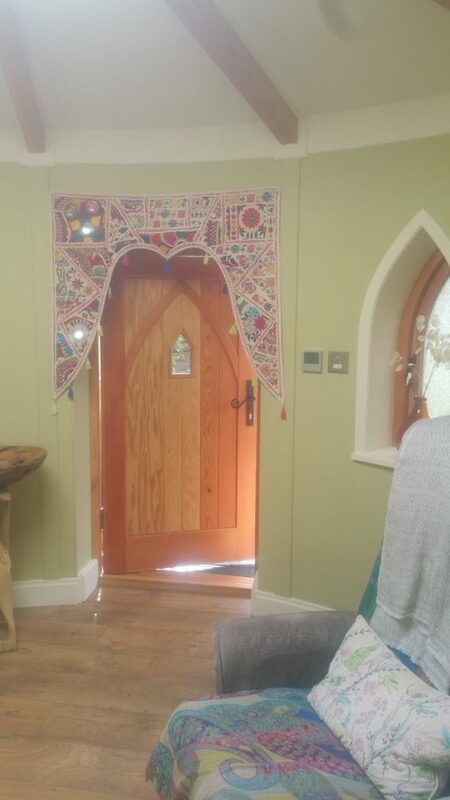 We’ve assisted folks with a ‘Healing Space’ Rotunda for psychotherapy in Northumberland, a ‘retreat’ in Wales called ‘Hiraeth’ (a beautiful welsh word which roughly translates to ‘a homesickness, longing, for a home you cannot return to’) and a therapy room called “Flo” in Glastonbury with adorable little gothic windows and an opening roof-light dome. Others due to be shipped out to their new sites include a classroom for a leading UK Conservation Charity in Yorkshire and a Yoga Room in Essex. A self-build project is completely about you. 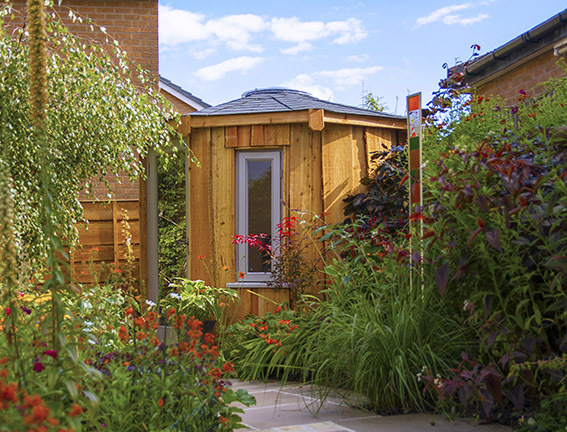 Self-build garden rooms / extensions are a fantastic way to gain more space without the requirement for a traditional home extension and by purchasing the KIT for your own assembly, you dictate the pace of the job and can remain in full control of the final touches. The satisfaction of designing your own little building (with our team) and assisting with the build process can be hugely rewarding (it’s a minature ‘Grand Designs’ project in the bottom of your garden, after all)! The Rotunda comes as a prefabricated modular building as pre-constructed panels which slot together similar to flat-packed furniture and are relatively straightforward to assemble. 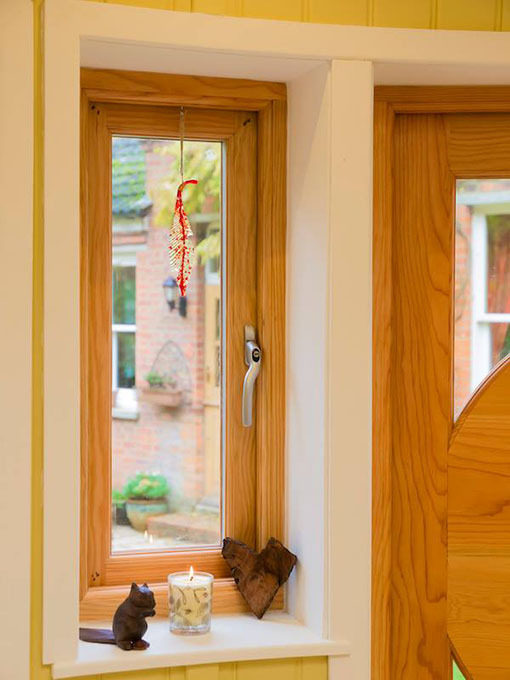 All we ask is that you provide a skilled builder or joiner to assist you with your self-build and that we can remain onsite to guide you all through the initial build process. Once the structural elements have been manoeuvred into place and signed off by our site manger, we can then leave you and your builder to start work on the second fix! So who generally self builds? EVERYONE! According to www.self-build.co.uk each year over 13,000 people undertake a self-build project each year from garden rooms to residential living accommodation! Whether it is a garden room, home-extension, playhouse, art studio, granny annexe or even holiday accommodation; a self-build Rotunda may just be the perfect solution for you. Perhaps you run an ever-expanding charity or community organisation which needs another office or classroom ? 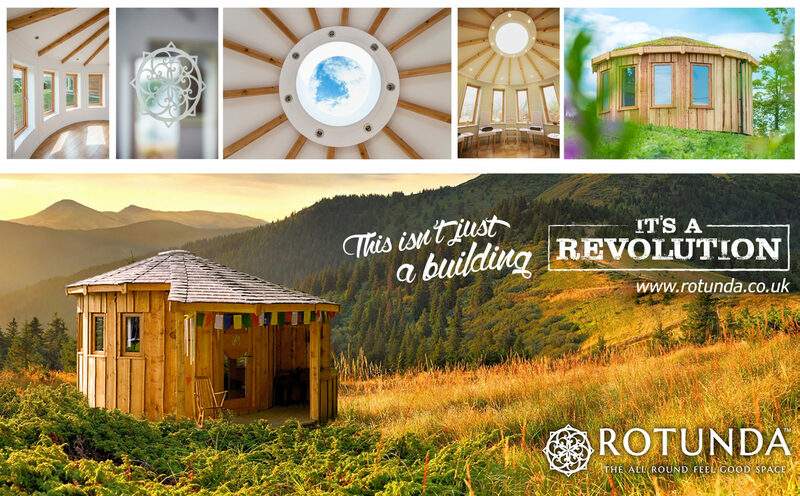 A self-build Rotunda project could provide you with a fantastic opportunity to get the local community involved and include friends, relatives and sponsors whilst creating a new personalised space for therapy, office use, art rooms or commercial space. On the other hand, your eldest child who’s struggling to access the property ladder might find it beneficial to move to the end of the garden in their own new self-contained lodge (or perhaps, you would keep the kids in the house and move into the Rotunda yourself!) The possibilities are endless – you design it and you can be a part of building and constructing it. You design, we manufacture, and you build (with our guidance)! Our design process may involve a site survey at your address and the creation of a 3D model to enable you to verify the design specification with us. 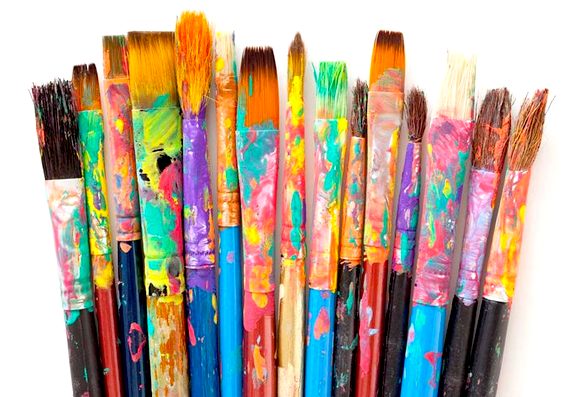 You have the option to work with our in-house interior designer to help source soft furnishings and work on the space-planning and layout elements for you. Not only are you saving when you decide to build your own garden room/extension/lodge/office, you are also purchasing an experience! A self-build project means embarking on relationship development between you and your loved ones. It’s time to invite friends and family round to join in the fun, perhaps with a persuasive BBQ on the go! 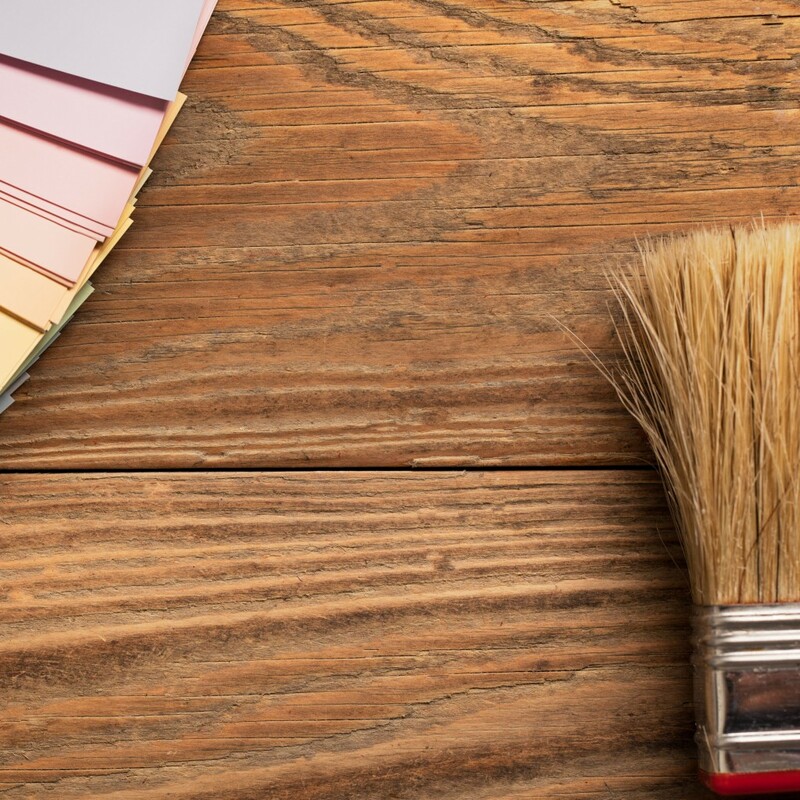 Scared you don’t have the DIY skills? Don’t be! Our skilled carpenters have done all the work for you in the factory before arrival to site and furthermore we send you a little helping hand for the first 2/3 days to show you the ropes! And by this time you’ll have all the main structure up ready for you to add your finishing touches! Think this may be an option for you? 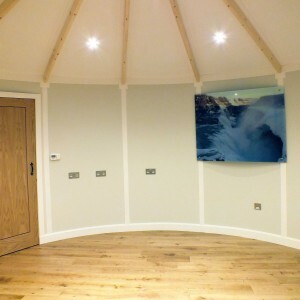 I’m sure our team could chat to you forever about the endless list of advantages a self-build garden room can bring. We are available to guide you around a constructed Rotunda and discuss your vision further. You can even visit our factory so that you can see your own Rotunda come to life! Dig a little deeper into your potential project and have a chat with us to discuss your dream on 0161 222 3350. Last year we wrote a blog-piece about heating your garden-room & ran through several heating systems for modular buildings and the traditional heating solutions available. Naturally, as with any other room in the house, a garden-room does require a heating source and we’re continuously looking for new and efficient heating systems which can reduce our clients energy consumption and compliment the beautiful space. Over the course of the last 12 months we’ve been introduced to a new and revolutionary heating system which has fast become one of the primary systems we are now installing for clients who have invested in Granny Annexes, spare guest bedrooms, home extensions, garden-room offices and eco-lodges on their property. If you’ve not come across this system before, you certainly need to; as the most efficient form of heating available today, the cost savings alone are significant (we’re talking pennies, not pounds here!) and the health benefits are worth taking into consideration. What is Infrared Light/Infared Heating? Infrared light is the reason why we feel warm when the sun is shining upon our skin on a cool day. Conventional wisdom would suggest that if the air temperature were cold, then you too would feel cold. However the infrared waves emitted by the sun travel unimpeded through space, and warm any object they hit, including your body. Infrared is a form of electromagnetic radiation that sits just beyond the red end of the visible light range of the electromagnetic spectrum. We often hear the word radiation and then automatically associate it with being harmful, but in fact, radiation is just a process of energy emission. Just like visible light radiation, infrared radiation is 100% safe. How does this compare to traditional heating methods? Conventional heating in the home works by warming up the air around people and objects; so for instance a radiator does most of its heating through air movement directly around it which circulates around your garden-room; often stirring up dust and reducing the air quality. As the hot air begins to cool down it drops down back to the floor level. This cold air gets heated again and this process keeps repeating itself – this is known as convection heating. InfaRed heating is referred to as ‘radiant heating’ and, put simply, radiant heating heats solid objects directly rather than heating the air. Since you are heating a surface area of the building rather than a volume, this infers a smaller heating capacity requirement if you go with infrared hence you can get away with a lower wattage. Panel 1.1m high x 1.3m wide heaters – sited on the wall – smaller panels and mirrored panels are also available. Another key benefit of radiant heating is that when you turn off the heat source it takes far longer for the space within your garden-room to cool down. If the heater is warming an object with a high level of thermal mass (such as a large item of heavy furniture or a wall) This object will then slowly release this heat back into the room long after the heating has been turned off. If infrared waves come into contact with humans, they will travel about an inch into the body providing a feeling of deep heat, but even if you are not directly in the way of the waves, any solid body will vibrate when the waves hit them, causing them to radiate heat back towards you. 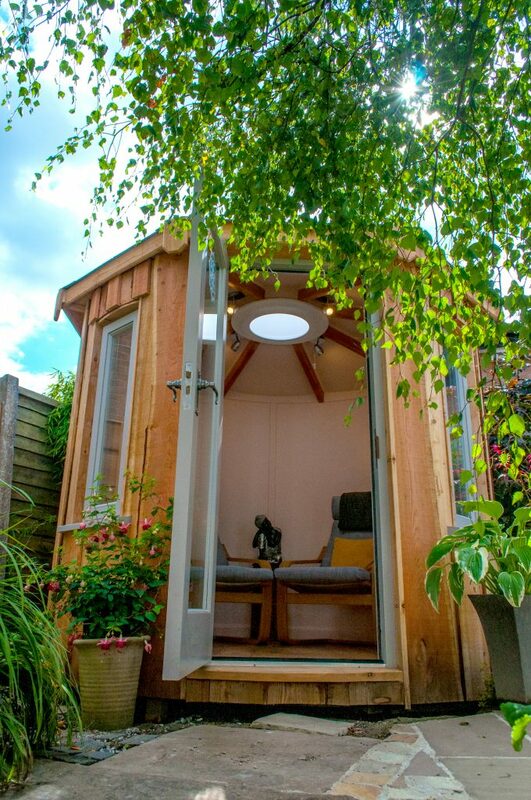 If you’re using your garden room as a garden-office and are spending all day sitting at a desk, our suppliers inform us that infaRed rays promote circulation and boost your immune system. There are also no direct emissions associated with using electrical infrared panels (and if you use them in conjunction with solar panels you get 100% emission free heating). Is this the optimum choice for your Garden-Room? 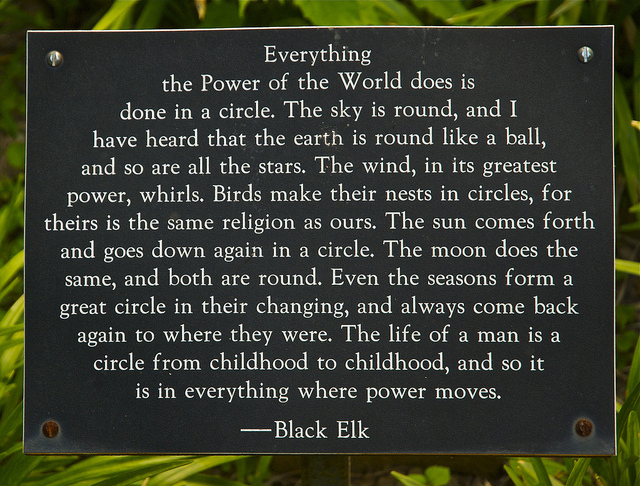 As a fanatical advocate of the power of the circle and emphatic roundhouse enthusiast within the garden-room industry over the last few years I’ve lost track of the innumerable benefits being in the round can bring. After years of gathering both research and feedback I’ve compiled/condensed a list of the six benefits which are at the top of the tree when it comes to understanding what makes a roundhouse so special. 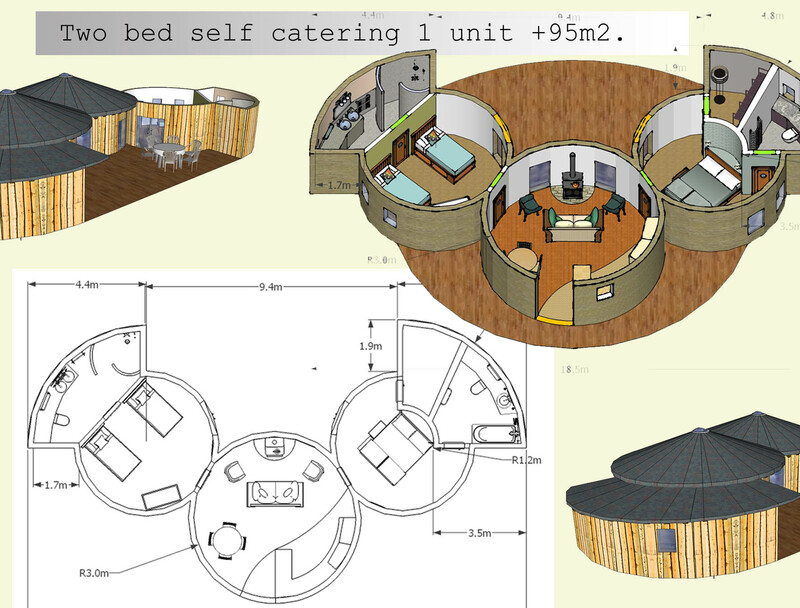 GARDEN-ROOM ERGONOMICS Being in a circular space lends itself well to (a) smaller spaces and (b) group activities. The large, circular double glazed roof-light dome in the centre of the roof perpetually infuses the room with light, this bounces off the walls (and combined with the permanent horizon-effect of the top of the wall as it meets the ceiling) creates a roomy and open space in which you and your guests will settle into, and circulate naturally within. Furniture slots easily into the round and can be used to sub-divide the space in clever ways which would not be considered in a rectangle. RESOURCE AND ENERGY EFFICIENCY As any mathematician or physicist will surely point out, the sphere is the most efficient shape in nature. Encapsulated within the circle is the largest amount of space vs surface area. 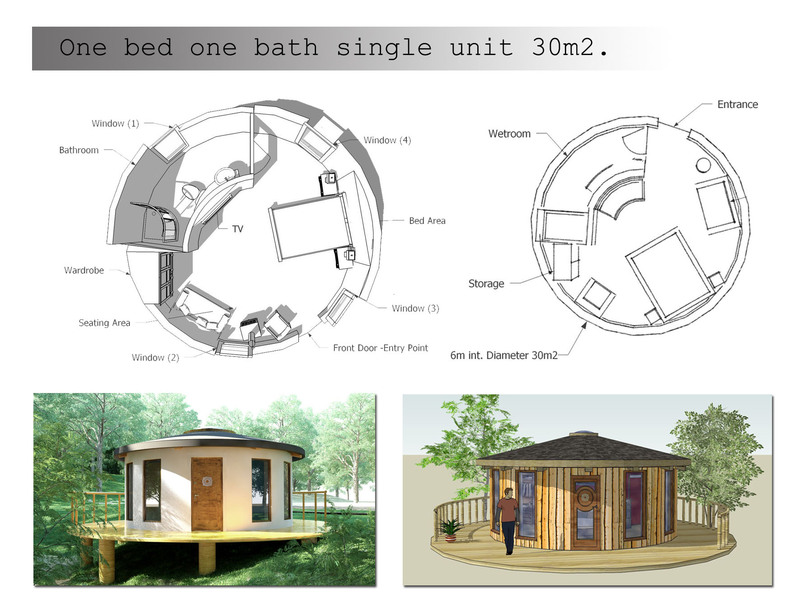 For this reason, the circular form of construction we have adopted for our modular garden-rooms reduces the amount of materials required (to produce the same floor area of a comparable rectilinear building) by approximately 30%. In addition, heating requirements are dependent on the surface, secondary to volume; once the room (volume) is heated and fully insulated, no additional energy is required and having less surface area (walls – and of course corners!) reduces energy leakage. This makes a round garden-room a super energy-efficient building. THERMAL DYNAMICS movement of the air within the building. Poor Air quality in a building is devastating to human health, and the air inside the average home is estimated to be three times more polluted than the air outside. It’s therefore vital that we are considerate of the materials we use to build garden-rooms and ventilate our buildings accordingly. CIRCULAR ENERGY MOVEMENT / ESOTERIC You may not be a believer in Feng Shui but have you ever noticed how certain rooms or buildings affect your mood? Do some spaces feel cramped and drain your energy while others make you feel energised? The majority of our clients can feel (as I do) the surge of uplifting and invigorating energy when stepping into a Rotunda garden-room. I often laugh with clients about the fact that I find it impossible to be in a bad mood in a circular building – these little buildings make me happy; I can’t explain why. The Chinese believe the universe consists of “chi” which is the energy that flows between the earth and the people. Feng Shui experts suggest that, since energy travels in a circular form, you should soften the corners of a room with plants to add life and assist the energy with continuing in a circular motion. We say scrap that, just eliminate the corners! 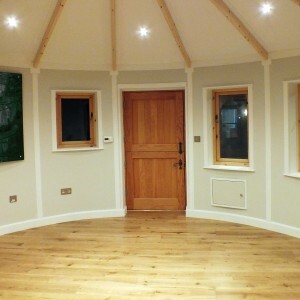 ACOUSTICS Being in the round brings people together – a Roundhouse is wonderful for gatherings, and a large percentage of our clients have used their garden-rooms as rehearsal rooms or spaces to sing and dance. Now, we’re not suggesting that the Rotunda is an ideal recording studio (it’s probably not!) as circular rooms can sometimes distort sound and energy waves in strange ways (particularly domes – there is of course the famous whispering gallery in the dome of St. Pauls Cathedral where you can whisper to the wall and it can only be heard by a listener diametrically opposite!). BUT for performing and playing acoustic instruments with groups, and for rehearsals with friends, being in the round is just wonderful. The feedback we’ve had so far is that the sound quality in Rotunda is beautiful, from the inside, it amplifies sound beautifully and when outside the building, it’s practically soundproof (so, good news for the neighbours too then!). Music is the second most popular activity in a Rotunda (after therapy). The ‘Rotunda’ Cathedral Roof This is the only garden room in the UK with a roof quite like that jaw-dropping cathedral feature roof with naturally oiled or stained timbers running up to the (over 1m in diameter!) double glazed polycarbonate circular roof-light dome. The roof only adds to the uplifting vibrancy of the room and is undoubtedly one of the most captivating features showcased on the garden-room market. One client recently stated that her cathedral roof “leaves as much space again the head (higher-self) as most buildings do for the physical body”. Well, that’s certainly true! So, if you’ve stumbled across our site, looking for your perfect garden-room I would imagine that it’s not difficult to see why an unobtrusive, environmentally sympathetic contemporary roundhouse might very well suit your project! This list is by no means exhaustive, please feel free to drop us a line and we’ll happily chat to you about the numerous benefits a Rotunda could bring to you and your garden! Money doesn’t grow on trees… ? Is the treehouse the perfect ‘Revenue Generating Asset’ for hoteliers and glamping aficionados? We’re regularly getting calls from beautiful rural sites up and down the UK looking for that perfect revenue generating asset, an investment which brings a steady revenue, a fast return on investment and a spectacular asset to retain for decades to come. Not surprisingly, the treehouse has become one of the most desirable outdoor structures available and it’s not difficult to see why. Trending television shows and the ever increasing dissatisfaction with the old fashioned caravan or B&B room; families and young professionals are seeking adventure on their weekend breaks (albeit in a convenient, affordable and well-appointed weekend package!). Treehouses are the stuff of magic and adventure, childhood memories and fairytale dreams. We understand exactly why these elements are making them one of the most exciting investments available in the UK to the rural hotelier. This cost-revelation is usually when the first-time tree house investors stumble back a little and think carefully about releasing the staggeringly enormous capital required which may exceed their entire mortgage in one hit. Of course there is a DEFINITE plus side where the revenue is concerned; some tree-houses are generating a revenue of +£400 per night so it’s not difficult to see how the humble treehouse can dramatically increase a hoteliers revenue (if they’re a 5* hotel); but what about the rural B&B’er who would like to offer the magic and luxury but would prefer to capture a more diverse range of clientele and charge their guests circa £150 per night? Return on investment is of course a primary driver when it comes to deciding which type of outdoor building you might decide to invest in for a generous return which is running in-line with the capital outlay invested. Woodland cabins, shepherds huts, roundhouses and yurts are enough of an attraction to assist with the diversification of the offering of a rural hotel or B&B and require a faction of the initial capital investment to get things up and running. But a Yurt isn’t a treehouse! Precisely. Numerous glamping havens may be promoting all manner of structures which are unique and desirable in their own right, but might still be yearning for that luxury tree house and are wondering where to turn if the budget is restricted, the tree types not adequate or are keen for a quick set-up with minimal fuss. Help has arrived! Cabin manufacturers in the UK (ourselves included) have been working with clients to elevate their existing timber-framed structures on platforms which lift the timber-framed luxury lodge up to the tree canopy. 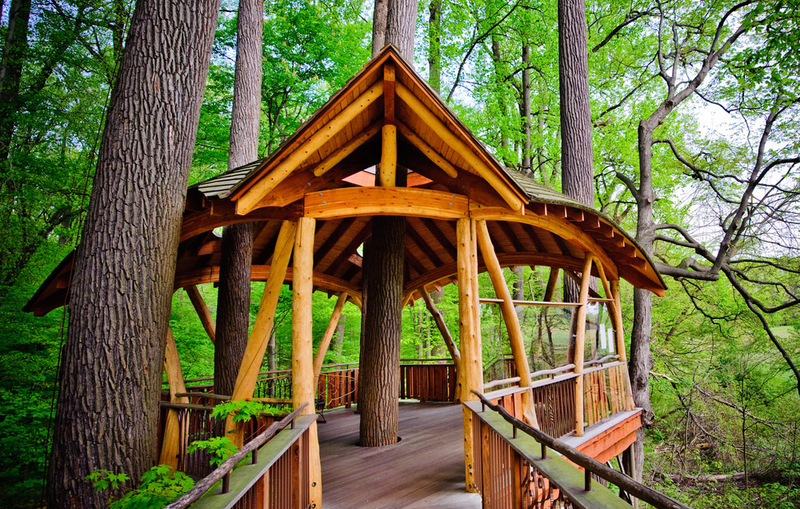 The process of affixing to living trees is no longer necessary, but does this still make a treehouse a treehouse? Well, let’s work with you to allow your guests to experience what life is like amongst the branches of the trees, recapture the magic they had as children and reduce some of the capital outlay for you to get started gently without breaking the bank on the first unit! Remember, the Rotunda is (a) leasable (b) re-locatable (c) a sustainable building and (d) a revenue generating (and magical) asset which could bring you a return on your investment in less than 24 months. So, call us if you’d like to discuss the options available to you, discuss how we could all benefit from spending more time amongst trees, and see if we can encourage the growth of your glamping business at the same time! 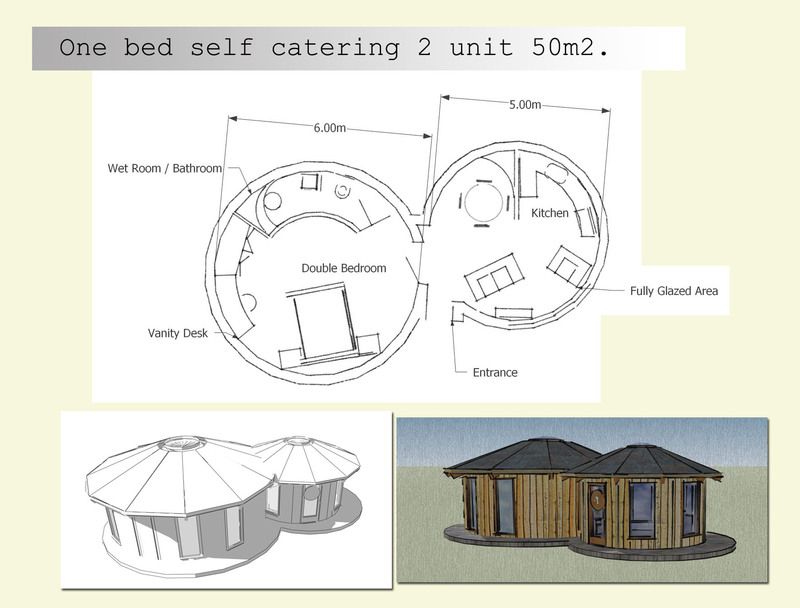 This is of course one of the most challenging and interesting parts of designing exclusively in the round and we’ve spent the best part of half a decade passionately working on the sub-division of circular lodges to create ergonomically workable spaces which are not only infinitely more attractive than box-like rooms but work to maximise efficiency and aesthetics. 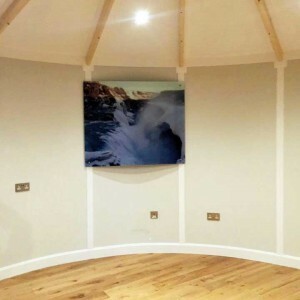 Creating rooms within a roundhouse is just as simple as adding a wall, either a flat wall which comes out perpendicular from the outer radius, or as a curved stud-wall which runs parallel to the external wall. Either way, it’s all possible, if you have the know-how! Above is an example of how one might utilise a single 6.5m external diameter Rotunda as a holiday lodge or luxury rural hotel suite. Of course, if you’re looking to provide your guests (or additional space for yourself for that matter!) with a little extra space, combining two (or more) units together presents the perfect opportunity of a multi-purpose lodge which may contain a seperate kitchen and living space. Combining units together can start to work against budget and/or energy restrictions so a simpler way of increasing capacity would be to extend the walls out and enlarging the outer radius to create ‘wings’ which can be sub-divided into bedroom and bathroom spaces. But of course, a blend of the two concepts works to create a holiday lodge like no other – adjoining ‘pods’ and extended bathroom ‘wings’ creates a super-lodge with the irrefutable magic of a Rotunda but the functionality of a family sized log cabin. These are just a few of our designs which have accumulated over the years, we’re regularly updating our clients with new designs and offer a free initial concept design service to all of our enquirers who are genuinely looking for a unique holiday lodge or self-contained annexe. Please do call us to arrange your site survey so we can sketch you vision out as a 3D concept model to see just how the round can work for you! Looking to buy wooden yurts? Look no further! 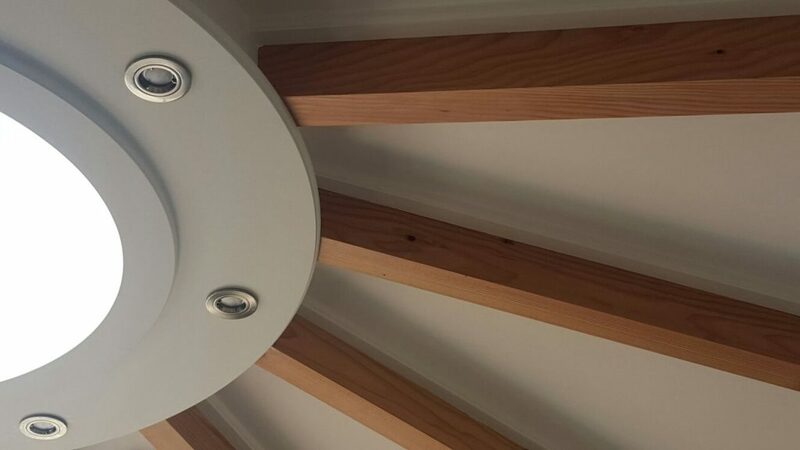 Have you been searching for the timber equivalent to the increasingly popular canvas Yurt? Are you a charity, social enterprise or a not-for-profit organisation looking for a multifunctional space which can be used and constructed by volunteer groups, students or events? Are you a glamping/camping site or rural hotel looking for a building which provides you with a swift return on your investment and works to boost your revenue and diversify your offering to your guests? – Winter-proof. A timber-framed circular building has year round appeal, the winter is just as enjoyable as the summer in a cozy well-insulated and well designed building which can support classes, recreational activities or overnight accommodation throughout the depths of winter. There’s no need to take it down in the winter, the canvas yurt requires regular maintenance and can’t really be utilised effectively in the winter season thus reducing your revenue capabilities between October and March. 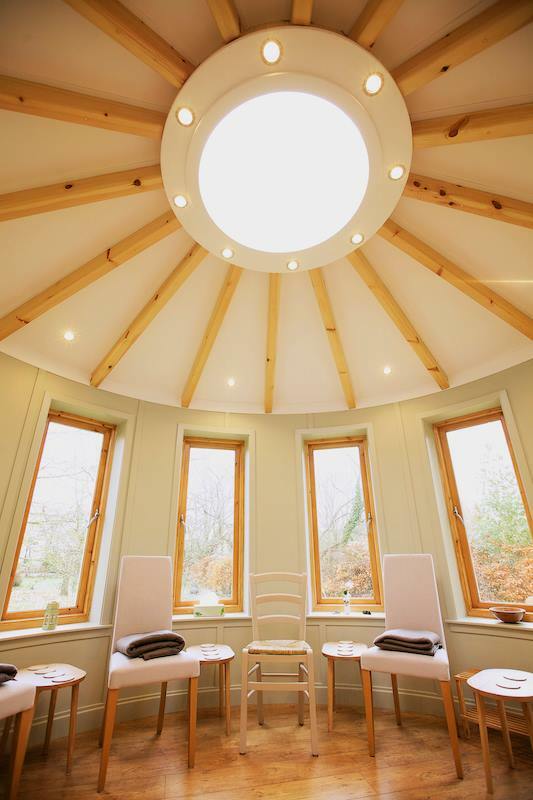 The Rotunda could boost your winter revenue significantly providing you with the option to provide an enviable indoor experience over the festive & winter period. – Lease-ability. Did you know you can lease a commercial building? If you’re wondering how you might be able to lessen the burden on your initial capital outlay, leasing might be the option for you. We work with several finance companies who can offer short and long term leases on these functional little timber buildings. – Scale-ability. It’s worth considering that your business or holiday park might have a change in clientele or use over the course of the next few decades. 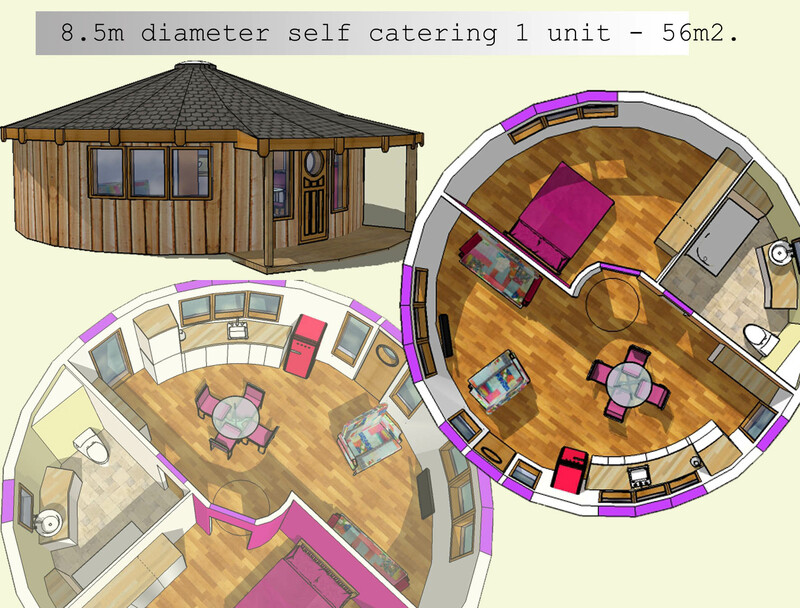 Yurts and cabins are wonderful stand-alone units but if you were considering increasing your offering and extending the size of your lodges to family friendly buildings or larger rooms for training centres, therapy suites and conference rooms then Rotundas can be combined to form larger buildings with link corridors. – Longevity. The average yurt might last you five to ten years with regular re-proofing and maintenance. 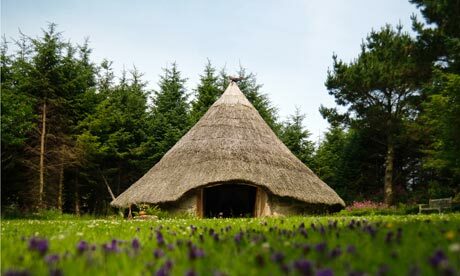 A fully insulated timber framed building (wooden yurt) or lodge would have the longevity of a timber framed dwelling! 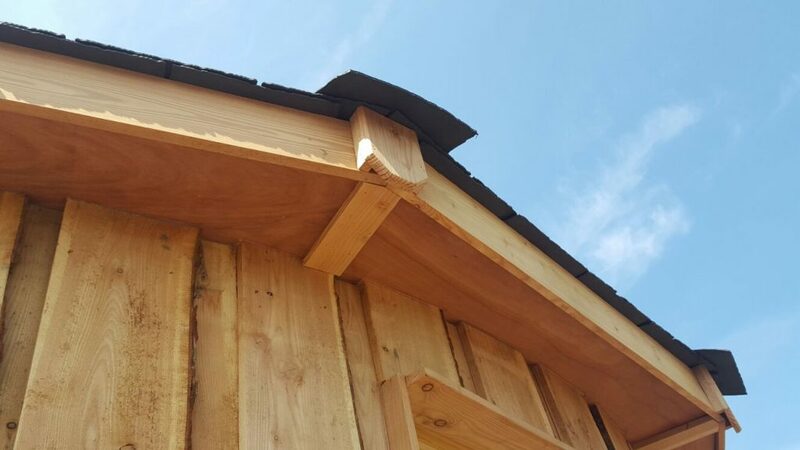 We use locally sourced Larch Cladding on our buildings which has an extended lifespan (the resin content is so high that the Scots use this timber for boat building) of over 40 years. The recycled post-consumer recycled plastic slates most commonly supplied boast a 100 year lifespan. – Functionality. Rotunda Modular Buildings are bright, spacious buildings and have a cathedral roof which extends up to a central roof light dome. If using a building for yoga or accommodation, utilising one with a minimum eaves height of 2.4m increases the functionality and provides you with much more space to incorporate bunk beds, high level cabinets and furniture. – Flexibility. Modular timber-framed buildings like Rotundas are infinitely flexible; you have the option to re-locate your building at any point in the future. – Self-assembly kits and/or community involvement projects. 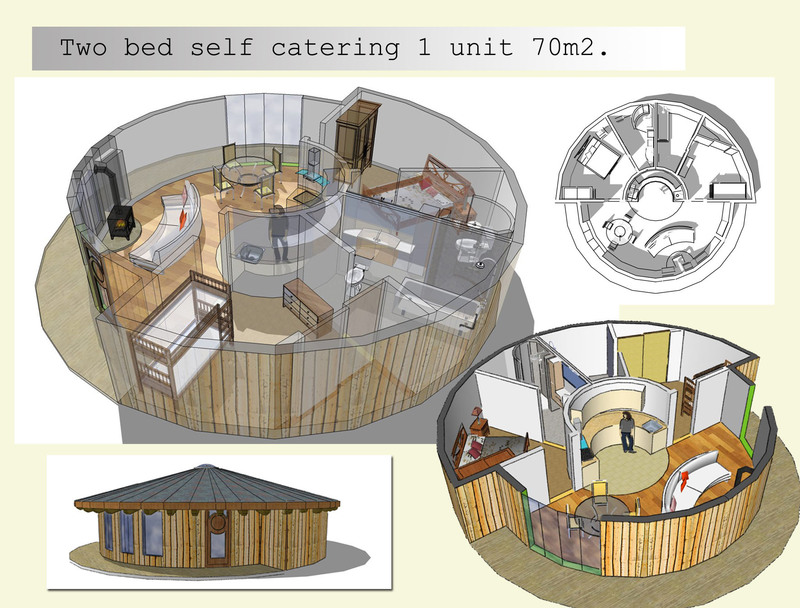 We’re a social enterprise and our core belief is that a wooden yurts should be available to all, especially other social enterprises and charities who are working towards an environmental or social objective. We’re now working with several other organisations to provide the structural panels with or without external or internal finishes for self-assembly/construction in conjunction with local tradesmen, family and friends and volunteers. This can greatly reduce your capital outlay and provide a fantastic hands-on project for everyone to get involved in! We can assist you with fund-raising material and provide you with assembly instructions and the support of our installations manager who can guide you and your team each and every step of the way. I’m sure we could chat to you forever about the endless list of advantages a wooden yurt or timber-framed recreational building can bring you and we’re available to guide you around our show model in Cheshire should you wish to discuss your vision further. So if you’re in the local area, get in touch, let’s put our heads together, think outside the box, have a coffee and chat Roundhouses! We’ll soon identify how they can benefit you, your recreational activities, your charity or business. Are we Pods, Sheds, eco-lodges or Summerhouses? This blogpost came to me today whilst researching key words for the website. I’m not sure how, but this past year I’ve managed to miss the staggering array of ambiguous descriptions there are out there for garden buildings; and indeed, how our outdoor buildings are defined – in particular, the grey areas where say a “shed’ becomes a “pavilion”! Today I came across the most well-used terms: lodge, hut (irritatingly the Rotunda has indeed been referred to as a “hut” by several individuals and I have not yet found it within myself to forgive this), garden house, eco-lodges, garden-pod, garden cabin, cabins (in general), garden offices, barns, garden-studios, summerhouse (what about winterhouse? Why has no-one coined this one?! That’s a better description for a real garden room), pavilion and… yes, (the ubiquitous) pod. Only very recently, to my horror, did I discover a product described as a ‘solid yurt’ constructed by a British shed company. This, incidentally, was absolutely not a yurt (it was an octagonal shed); yurts are and always have been circular. To those of us who are deeply passionate and somewhat obsessive about circular buildings and their history, it’s nothing short of building blasphemy! It’s just wonderful to see the imagination and passion which is now infiltrating the garden buildings industry and the humble shed has given rise to features on George Clarks Amazing Spaces and awards on “Shedworking”. Eco-Lodges and Log-Cabins are now straddling the domestic homeowners market and luxury british holiday destinations and of course Yurts and bell tents are still at the forefront of the Glamping Scene (although they’re popping up in UK gardens all over the place at the moment as therapy rooms, outdoor classrooms and meditation spaces!) Of course, there is only one garden building called the “Rotunda” (which incidentally, is exactly what it is) and of that we’re immensely proud. Sedum: a widely distributed fleshy-leaved miniature plant with small star-shaped yellow, pink, or white flowers, grown as an ornamental. 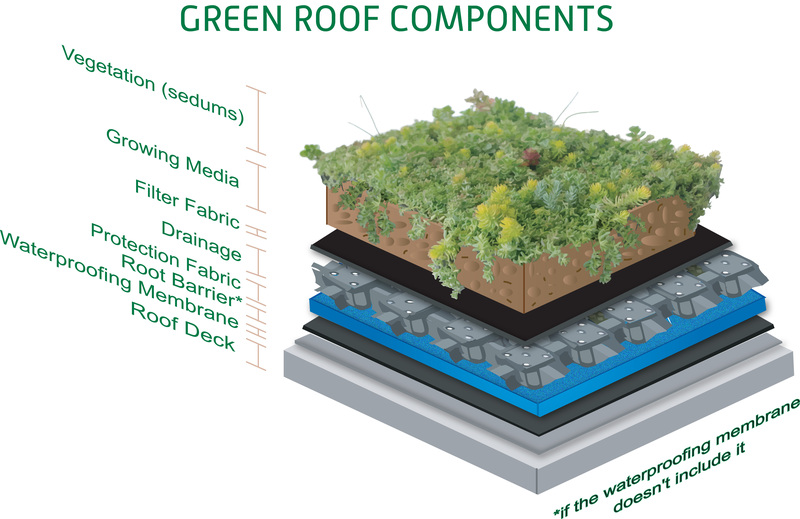 A green roof is any roof that has substrate and vegetation growing over a waterproof layer. Green roofs can be found in many different sizes and shapes. Commonly green roofs are extensive which means they have a thin lightweight layer of soil covered by hardy drought resistant plants such as a sedum roof. Below are FIVE REASONS why the Green Sedum Roof is our all time favorite roofing application! – Helping our local insects and providing a safe haven for bees. Whilst green roofs do not directly replace ground-based habitats and are not part of a ground level ‘green corridor’, they can be thought of as green ‘stepping stones’ for wildlife, and, if well planned, can cater for a variety of flora and fauna unattainable on traditional roofs. What makes a Sedum roof so remarkable is that it actively assists with the maintenance of bee population numbers by providing a wealth of flowers and other plants which might otherwise be bereft in that area, particularly if it is an urban environment where greenery is sparse. In addition to helping the bees, the sedum roof also assists a number of other beneficial creatures including butterflies and birds. The sedum plants on green roofs can capture airborne pollutants and capture CO2. The temperature moderating effects of green roofs can reduce demand on power plants, and potentially decrease the amount of CO2 and other polluting by-products being released into the air. In summer green roofs can retain 70-80% of rainfall and in winter they retain between 25-40%. This is because Sedum roofing systems store rainwater in the plants and growing mediums and evaporate water into the atmosphere. 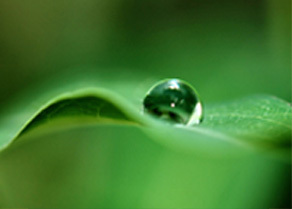 The amount of water that is stored on a green roof and evaporated back is dependent on the growing medium, its depth and the type of plants used. Heat losses through the roof must be minimised if you’d like your garden building to perform over it’s lifetime and keep you warm through the depths of winter without worrying about rising energy costs. The thicker and more thermally efficient both your roof cavity insulation and your roofing materials are the better. A green or sedum roof not only acts as an insulation barrier, but the combination of plant & soil processes reduces the amount of solar energy absorbed by the roof membrane, thus leading to cooler temperatures beneath the surface. Most roofing materials and membranes can be broken down over a period of time due to UV light, restricting their lifespan. It has been found that the protective layer of soil and greenery over the roofing membranes ensures that your roof has an extended lifespan whilst benefiting the environment! It can’t be denied; a green roof is beautiful. Sedums are the perfect plants. They look good from the moment they emerge from the soil in spring and continue to look fresh and fabulous all growing season long. 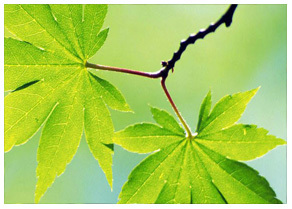 Many are attractive even in winter; and a rooftop covered in a heavy green carpet of life is refreshing and innovative! If you like the idea of having a green roof fitted on your Rotunda Garden Room please do get in touch – we have one week left of our *FREE ROOFING UPGRADE* offer which means you could have a sedum roof entirely free of charge!